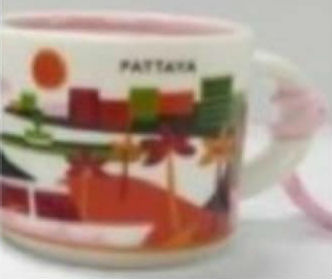 This is good news for mini mugs collectors, because previously announced Pattaya YAH comes with a smaller brother, Starbucks You Are Here Ornament Pattaya. The inside of the ornament is pink, as well as the string. Just a reminder, it’s not been released officially yet, wait for the April to get it.